"Walkability" is a word urbanists throw around, often with different ideas as to what it really means, or why we care about it. As a literal descriptor, being “walkable” simply means a place can be walked, in the same sense that “readable” means it can be read. There are different levels of walkability just as how asentencewithoutspaces is still readable, just less readable than a sentence with spaces. We care about walking because it is the most natural, cheapest, energy efficient, space efficient, and accessible way to get around. Cities are the colonies of humans, so we should build them for humans, because what else would we build them for? 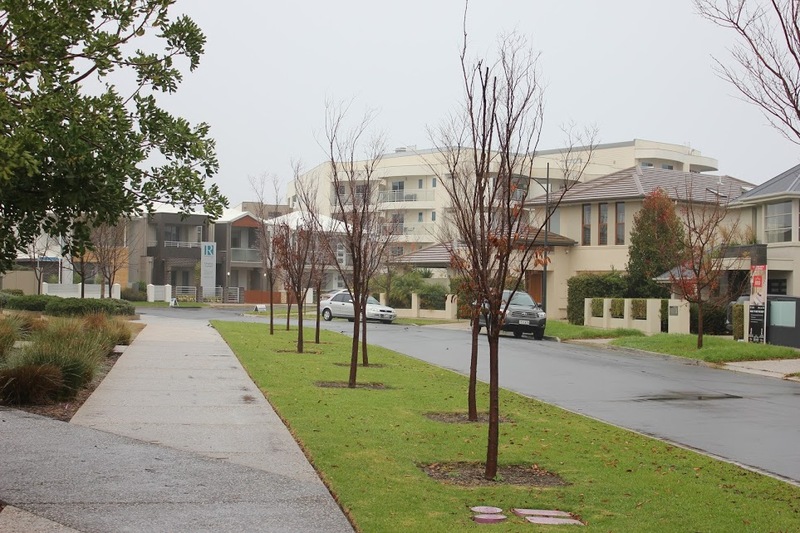 Newly built suburb in Australia. The trip to your neighbor’s house is walkable, but nowhere else. If you want to measure walkability, the first thing you need to ask is where you want to walk to. If your answer is “to my neighbor’s house who lives next door,” then every suburb can call itself walkable. What about to work? Or to your favorite place to eat? Calling a place “walkable” is mostly a matter of saying you can get everywhere you want to go on foot. Since we all have different needs, we can generalize and say that a place is walkable for tourists (all the hotels and attractions can be reached via foot), is walkable for college students (the colleges, accommodations, entertainment, and other attractions that appeal to students are reachable via foot), is walkable for families, etc. Asking, “Where do you want to walk?” is the important question. For a place to call itself “walkable”, there needs to be enough within your walkshed that you can accomplish most trips (other than commuting) on foot. This is what the website WalkScore attempts to measure, and ties back to the concept of Complete Neighborhoods. To measure if a trip is walkable, there are four factors we should consider: safety, distance, convenience, and comfort. Having to walk alongside 45 mile per hour traffic, cross a multi-lane highway without crosswalks, or cross over a slip lane while drivers have a green light giving them the right to fly through—these things are outright unsafe. You do not want to risk your life with every trip. For walking to be safe, either all the motorized traffic around you should be going at a safe speed (25 miles per hour or less) or you should be segregated from it (protected or buffered sidewalks, or walking routes that can avoid walking alongside high speed traffic altogether). Your destination must be no more than a reasonable distance away—about a mile (around a 20 minute walk) is the upper limit for most people. The area within a reasonable walk is referred to as your walkshed. If you live in Harlem and work in Tribeca, both in Manhattan, you would not likely walk your 7.5 mile commute everyday despite it being a pretty straight walk with sidewalks and thorough "Complete Neighborhoods" the entire way. 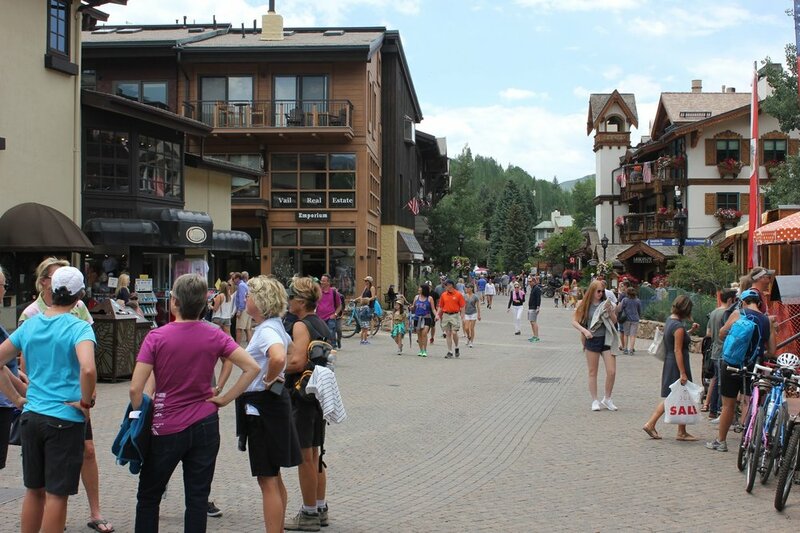 Resort towns are often very good examples of walkable places because they are designed to have everything you need for a satisfying vacation in one place. Walking must be a convenient way to get around—which relates to the distance of the walk, but also that other modes are inconvenient enough that it outweighs the inconvenience of walking. Do you have to pay for parking? Do you have to waste 10 minutes fiddling around with a parking garage two blocks away from where you are trying to go? Does traffic move at a crawl? Is your destination so close that it will actually take longer to drive there? I listed comfort last, because I have seen many places where people walk because walking is the most convenient way to get around, despite narrow sidewalks (thanks to on-street parking on streets that are too narrow to support it), trees and poles blocking the sidewalk, pavement in very bad shape, etc. However, comfort is important in encouraging us to walk. Factors that add to walking comfort include well-lit streets at night, a street layout that does not make pedestrians feel like second class citizens (by allocating pedestrians no accommodations), building fronts that face the street, and no large blank walls (when you have variety and granularity, your brain gets rewarded by seeing progress as you exert energy, making walking feel less exhausting). Comfort is rated lower than safety, distance, or convenience because we should not fall into the trap of thinking people will walk if we just give them wide sidewalks and pretty landscaping. If there is nothing within walking distance worth walking to, what's the point? Little things can really affect your experience, such as a tree blocking the sidewalk. A shopping street at Boston’s downtown crossing. 100% for people. Let’s put our energy into building places for people, then we can accommodate other modes of getting around on top of that. It is healthier and more financially productive to build places for walking. How does it make sense to do anything else?